How to transport or store shrimp for extended periods of time. I utilised this method when moving house last January. I have given this as advice on the forum previously a long time ago but not written as an article. 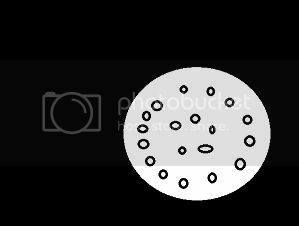 Unfortunately i didn't take photos because i was moving house but i have obtained images of the main items required and done an image in paint to explain the holes. i hope this will suffice?. Drill or sharp pointed object. 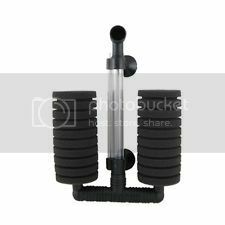 Step 1: Ensure your sponge filters are running on your existing tank for as long as possible to ensure you have beneficial bacteria culture growing on the filters. The longer they are running the better. Step 3: Add existent tank water to the bucket. I would recommend at least 3 quarters full as if you are unfortunate enough to suffer an ammonia spike etc (worst case) the more water the lower the impact in theory. Be mindful of how much you add due to holes in the lid, the more the water the more chance of spillage. Step 4: Add some of your existing substrate to the bottom of the bucket. I used benibachi for the ph buffering ability which had already been in my tank. I felt it would assist in reducing stress due to resembling the tank. Step 5: You want to add the sponge filters to the inside of the bucket and thread your air hose through the holes in the lid. Step 6: Add any plants you have available to your bucket. The aim of the plants is to assist the bacteria on the sponge filters in maintaining healthy water due to the small amount. I utilised needle leaf java fern and it also provides a food source for the shrimp. Step 7: Add your shrimp and turn on the sponge filters and replace the lid on the bucket. 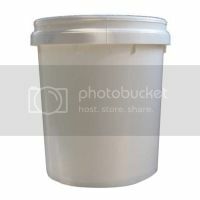 Step 8: Store the bucket out of direct sunlight during travel and storage at arriving destination to prevent major fluctuations in water temperature. I had approximately 5 CBS inclusive of shrimplets in a bucket utilising this method alive for close to two weeks. They survived 8 hour car trip and then about 12 days whilst my tank cycled being set up in the new house with temperatures averaging over 35 degrees a day. TIPS: Prepare your sponge filters in the tank and have them running for as long as possible prior to transfer. The later you leave your shrimp to be added to the bucket the better. Keep your bucket out of direct sunlight to avoid over heating and mass fluctuations in water temperature. Avoid over feeding your shrimp as you dont want an ammonia spike from left over food. Depending on amount of plants these should be sufficient to supply micro organisms to feed on the leaves. Battery air pumps are also able to be used in a black out so dont throw them away.